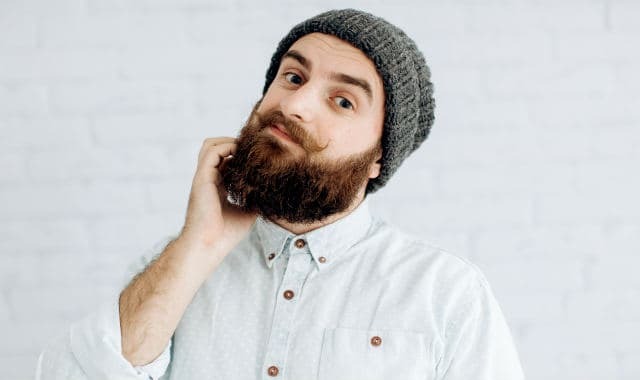 There’s one thing almost all first-time beard growers experience at some point in their journey, and that is the dreaded beard itch. Fret not dear hirsute friend. Dry skin under beard is not the end of the World, and with a few simple tweaks, your scratchy beard will be just an unfond memory. And I don’t mean that you have to shave it (why would I, our goal with this website is to teach men the quickest ways to grow a beard naturally). There are so many remedies to dry beard skin that it has become almost easier to care for a beard rather than not have any. So, let’s get that beard rash of yours under control. The term “beard rash” refers to nothing complicated, just to the good old dry skin under the facial hair menace. 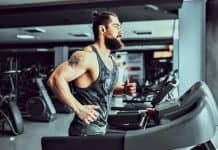 This will inevitably cause an itchy beard, and if you let the dryness persist long enough, you will be looking at another – even more annoying issue – called the beard dandruff. The only acceptable answer is that the face underneath has gotten dry and it needs to be moisturized. Once you manage to properly moisturize and hydrate the skin, the facial hair rash and all of your itchy whisker issues will be eliminated for good. 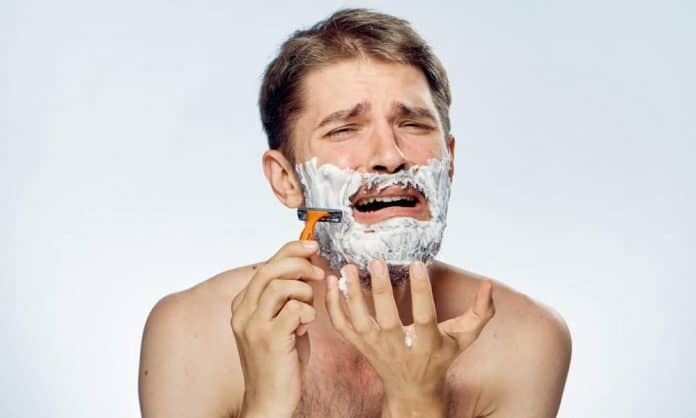 Before we get to the remedies and our superb moisturizing routine, let’s quickly look at what causes the rash under the beard, so you can stop harming your face and facial hair. Believe it or not, your beard can be itchy and dry because of multiple reasons, not only because you just “let it go”. Weather – freezing air, wind, and low humidity can rob the moisture from your beard skin, causing itchiness, redness, chapping, and even cracked skin surface. Men who have moved from a warm place to somewhere colder know this all too well. 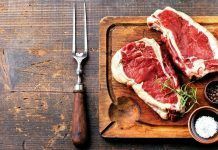 Unbalanced Diet – Omitting key macronutrients, being deficient in key vitamins & minerals, and eating too many polyunsaturated omega-6 fatty acids can dry the skin from the inside. Resulting in some itchiness and red rash under the mane. 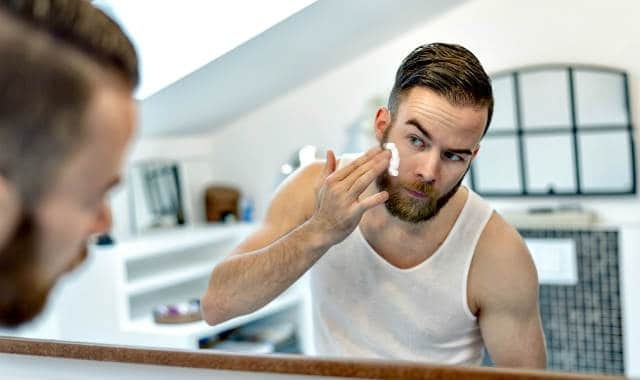 Over-Washing – Beards get dirty, and you should occasionally wash the whiskers, but do know that the more often you do it, the more you dry the skin underneath. Using scalp-hair shampoos only makes the issue worse. 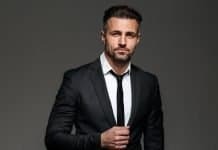 Lack of Beard Care – Up to a certain point, your beard produces enough sebum oil to moisturize itself, but once it gets long, the hair follicles can’t produce enough, and that’s when you enter the beard rash city. Population; you. 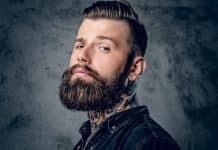 Your Beard Stabs You – If you have a curly & wavy beard, it’s likely that you go through “the itchy beard stage“ somewhere around 2-4 weeks into your growth process. It’s when the facial hair curls and the ends press against your skin. 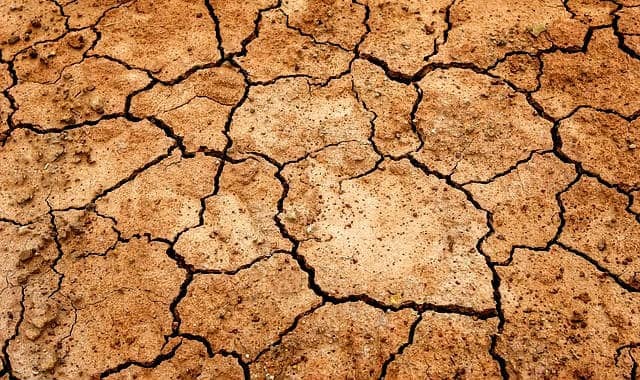 Actual Skin Conditions – Eczema (Atopic Dermatitis), Seborrhea (Seborrheic Dermatitis), Psoriasis (Psoriasis Vulgaris), and certain skin yeast infections can and will all cause dry skin with white plaque-like dead skin cells under and in the facial hair. 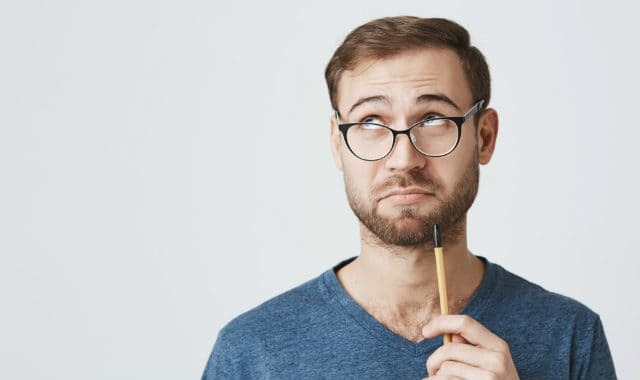 If your scratchy beard is caused by a skin condition, then it’s best to work with a dermatologist to see what would be the best option for you. 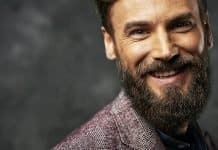 If it’s caused by anything other than an auto-immune skin condition, then know that the itchy beard remedies shared below are guaranteed to work for you. Finally, we can begin. I present you the meat & potatoes of this beefy article. The five key methods to moisturizing the skin under your facial hair, for a guaranteed remedy to the dreaded “desert beard”. It may seem counterintuitive to use a beard brush first when your facial hair area skin is already dry and itchy. I mean, wouldn’t rubbing and brushing against it with a firm boar bristle brush make everything even worse? You see, brushing the beard is one of the best – if not the best – methods to naturally exfoliate the skin that is covered in facial hair. And that’s where you should start because you need to get rid of those dead flaky skin cells. There’s no point to try and moisturize the already dead flakes. Putting on moisturizer before the brushing would be like applying wet stickers to an uneven surface, they’ll just dry and peel off again later. This is why you start by brushing and then do the moisturizing later on, so you have a blank slate to work with. 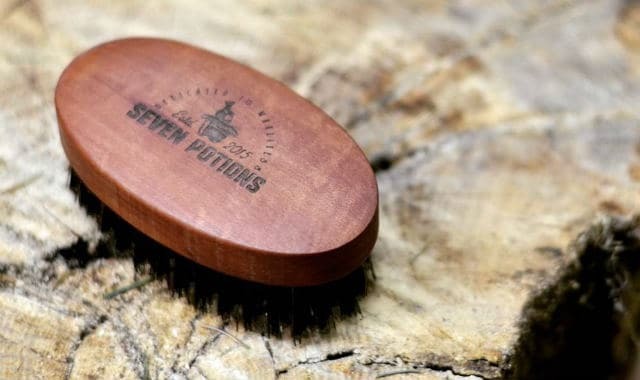 For the purpose of exfoliating the dry skin under your beard, I would recommend the Seven Potions First-Cut Boar Bristle’s Beard Brush, it’s stiff enough to properly get in there and wipe away those dead skin flakes. If you have a patchy and thin beard with sensitive skin, then consider choosing a brush with softer bristles, like the ZilberHaar Soft Boar Bristle Brush. Or maybe you have a brush already? In fact, you probably do. If so, get exfoliating (finish this article first though, this is just the first step in eliminating itchy beard and facial hair rash). Moving on. Next, you are going to wash the beard. 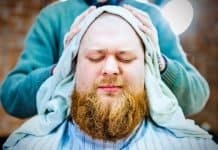 I’m going to repeat myself a bit here since I’ve said it a thousand times already in this beard blog, but you should always wash with gentle beard shampoo instead of the scalp-hair kind, to preserve some of the natural sebum oils that moisturize the face. And, you should limit your beard washing to 2-3 times per week at most. So you’re not stripping the oils away on a daily basis, causing more and more dryness underneath the beard. Those are the only two things you need to know about washing the beard properly for the prevention of dry beard skin. And the only reason I say you should do it after the beard brushing is so that you can wash away the last of the dead skin cells before we begin the process of properly moisturizing the whiskers. Wash your beard only with gentle beard shampoo. Never wash it more than 2-3 times per week to preserve sebum oils. This way, your mane stays clean without drying up and causing a beard rash. Product-wise, my go-to beard wash recommendation tends to be the Scotch Porter Moisturizing Beard Wash. If not that, then I go for the Big Forest Beard Shampoo. We begin the reapplying of moisture with some trusted beard oil. 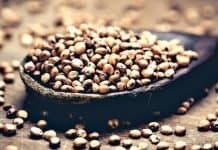 I could go on all day about the ingredients and what to choose, but that would just make this post too long (if you want the details of the details, read through our guide on best beard oils). For the purpose of stopping the facial hair itch, just get a brand has jojoba oil in it, as that’s easily the most moisturizing and rapidly absorbing of the light oils. My recommendation goes for the ZilberHaar N°1 Beard Oil or even just pure jojoba oil works too. You are going to want to apply the beard oil immediately after washing your beard, into towel-dampened facial hair. This helps to seal in the moisture from the shower and nicely prevents beard itch and drying of the face underneath. 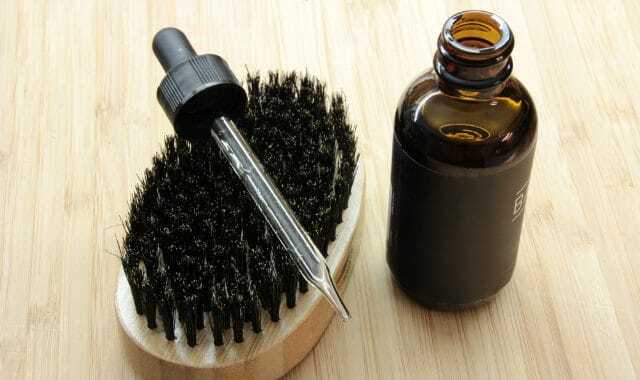 In fact, the original idea of beard oil is to replace the natural oils lost while showering or to substitute some when the beard gets so long that the natural sebum oil production can’t keep up anymore. So what better time to apply than right after you hop away from the moisturizing H2O? Sometimes beard oil just isn’t enough, and if your beard skin has dried up too much, it may not be a proper remedy alone. That’s when it’s time to bring out the heavy-weaponry, which in this case is a slightly modified beard moisturizer, tried and tested. It’s the good old Nivea Soft (the white jar with jojoba oil), used by thousands of guys who apply minoxidil to their beards (minoxidil does work terms of stimulating new facial hair growth, but it also causes very dry skin underneath the beard). I’m not sure who to credit with the original idea (possibly Adam Siddals, Basik Ali Coe, or any of the other OG members of the Minox Beard Spot), but this moisturizer is the real deal when it comes to hydrating the facial hair and preventing the itchy beard. This moisturizer has no hormone suppressing essential oils. It uses the non-comedogenic quickly absorbing jojoba oil as an ingredient. The other fats in it are saturated and create a stable moisturizing seal on the skin. Just make sure that you get the right Nivea Soft. To get rid of beard rash, you want to specifically find the white jar or tube that looks like the one in the above picture with the text “with Jojoba Oil and Vitamin E” in the front. Nivea has similar products in its arsenal that are chock-full of harmful chemicals and none of the benefits above, so make sure you don’t get the wrong jar or tube. It would be easy to underestimate the importance of nutrition as a beard itch remedy. But the truth is that what you eat and how much you eat (and drink) can be the difference between a dry & scratchy beard and an ultra soft & smooth beard. Drink plenty of water, after all, we are trying to get our skin moisturized here. Try not to omit from any major macronutrient (carbohydrate, fat, protein). 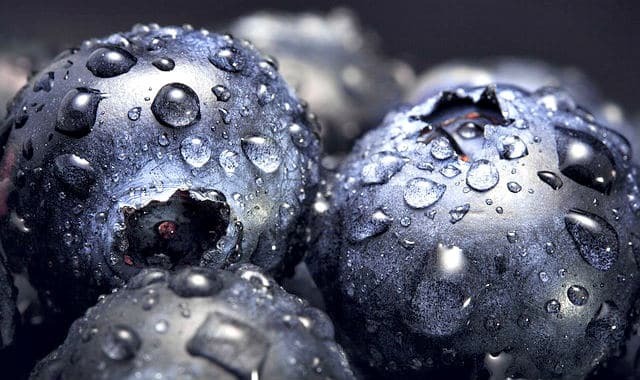 Include leafy green vegetables, fruit, & dark berries for vitamins and minerals. 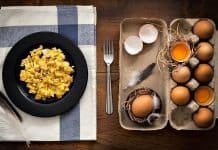 Eat these 13 beard nourishing foods from the list I wrote earlier. If your diet falls short, fill in the gaps with a high-quality multivitamin supplement. That’s it for beard rash prevention diet-wise. Q: How long does the itchy beard stage last? Answer: When growing a beard, the “the beard itch” phase sets in usually around weeks two to four. 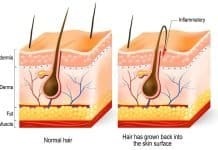 It doesn’t happen to every guy, and the likely reason for its occurrence is that men who grow thick and coarse curly whiskers, have theirs curl up with the ends poking back into the skin, causing facial hair rash. Q: Can trimming help with dry and itchy facial hair? Answer: Yes, to some extent. One of the reasons a beard can itch has to do with split ends of the beard. 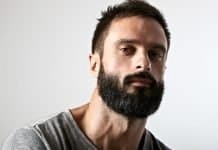 Snipping these off with some beard scissors or a beard trimmer can help if your beard is itchy, but only marginally, as moisturizing is the key to prevention and treatment. Q: Does shaving cause beard rashes? 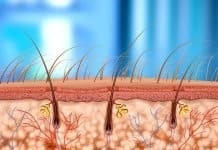 Answer: Frequent shaving is associated with “razor bumps” which is a condition where the hair follicles get inflamed similarly to ingrown hairs. So yes. Shaving your cheek and neckline can result in razor bumps and rashes. Q: How to prevent itchy beard growth? Answer: Follow the steps above in this article. Most importantly, just keep your beard moisturized. Don’t wash it too often, use beard oil, and a beard brush, while keeping an eye on your diet. That’s it. Another lengthy post in the books. Hopefully, you learned a thing or two about preventing beard rashes, itches, and the dry facial hair skin. Thanks for reading and keep on beardin’.